You will earn 1,375 Reward Points. Earn 1 reward point for every 1 dollar spent. The Hobart BOWL-HL60 60 qt. 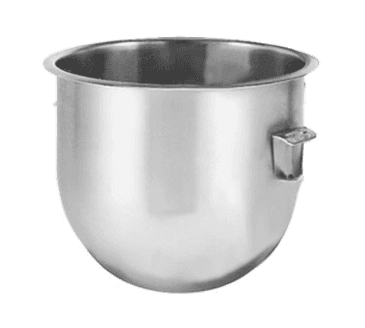 bowl is designed for use with Hobart HL600 and HL662 all-purpose mixers. This stainless steel, 60 qt. capacity bowl is perfect for mixing an array of ingredients in your commercial kitchen or bakery. And it's always wise to have an extra bowl on hand to mix multiple sets of ingredients during busy times! When you're looking for an easy way to transform life in the kitchen, consider the Hobart BOWL-HL60 60 qt. Exactly what we expected. Hobart quality last forever!